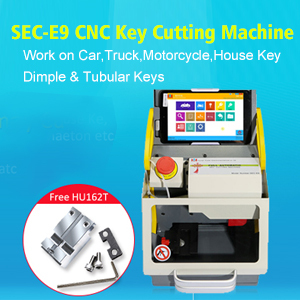 SEC-E9 Key Cutting Machine How to use SEC-E9 to cut HON66 key by search key blank? 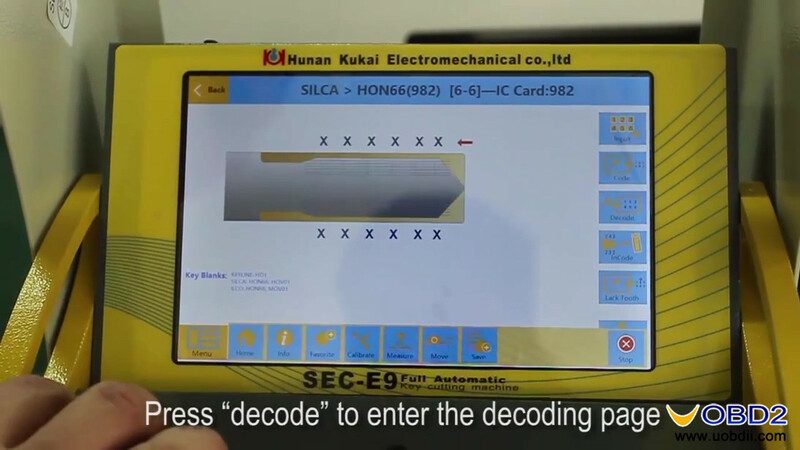 Enter “HON66”, press “Search” button. 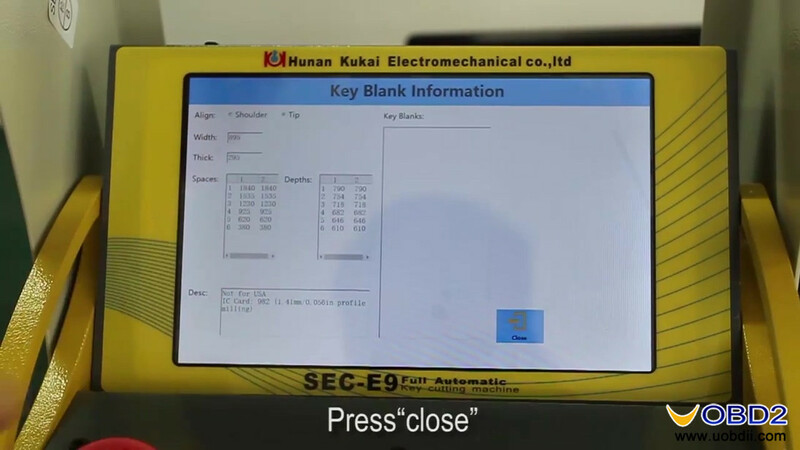 Check if the original key can work well. 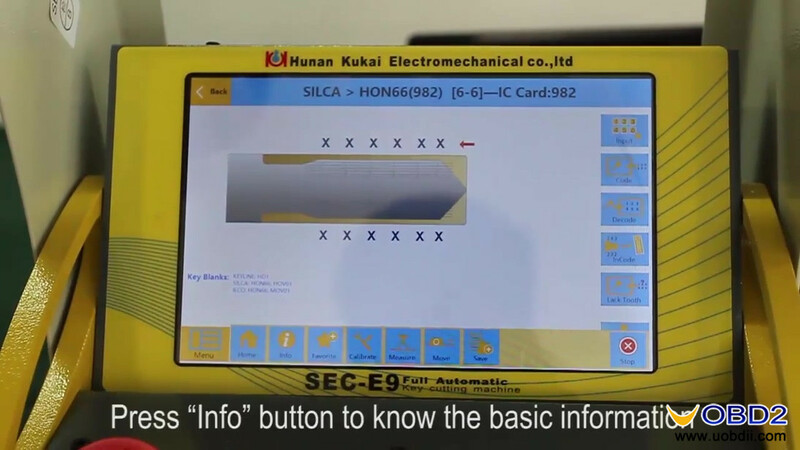 Press “Menu” button, then “Info” button to know the basic information, you see this key is guided by “Tip”, press close. 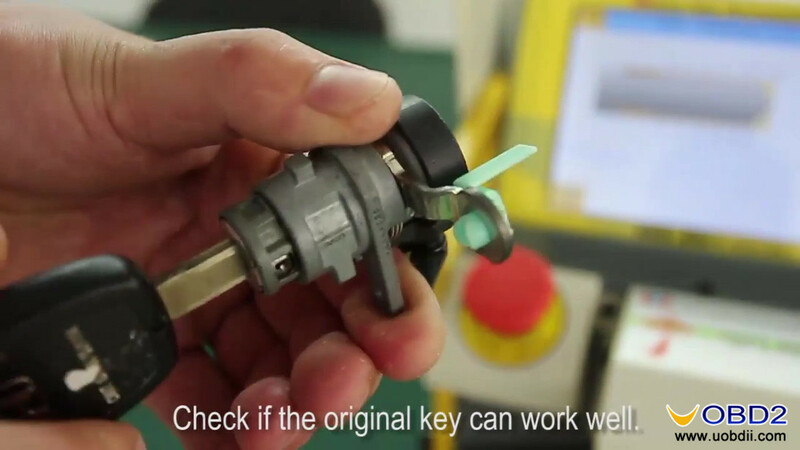 Fix the original key on the car key clamp. 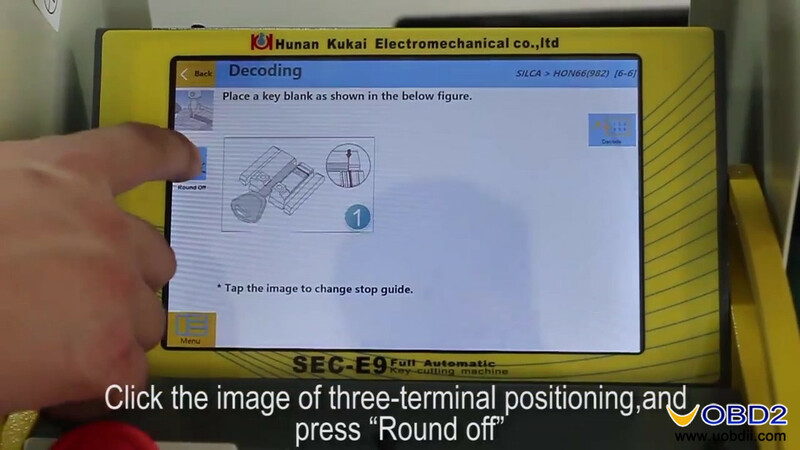 Click the image of three-terminal positioning, and press “Round off”. 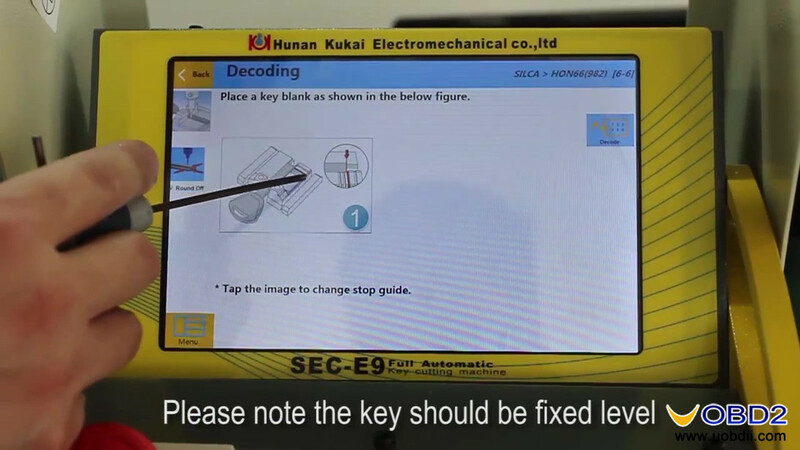 Note: the key should be fixed level. 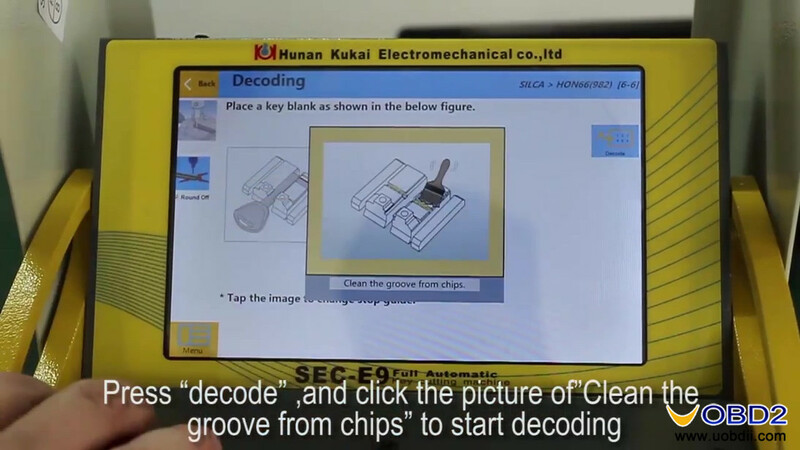 Press “Decode”, and click the picture of “Clean the groove from chips” to start decoding. Take away the original key. 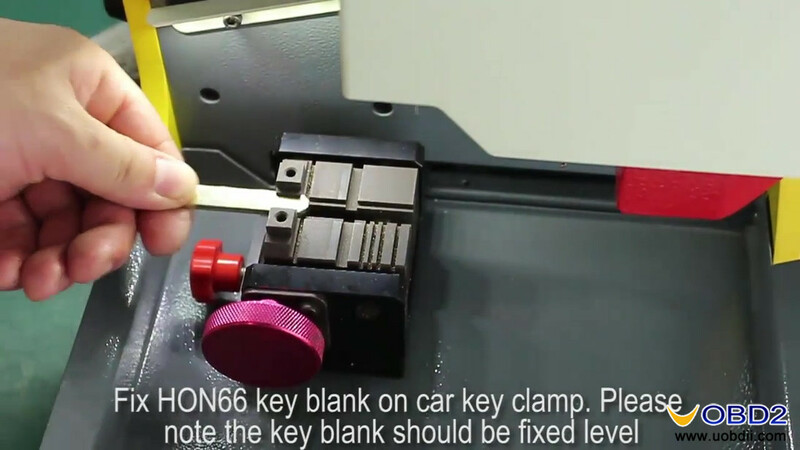 Fix HON66 key blank in the car key clamp, Note: the key should be fixed level. 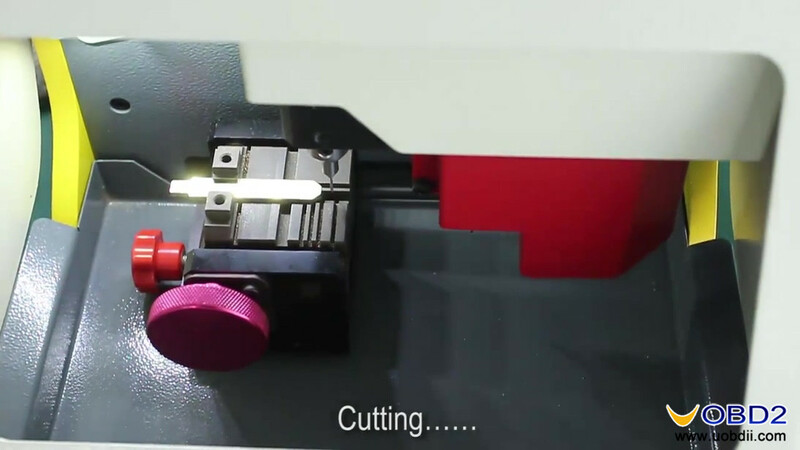 Click “Cut” button. 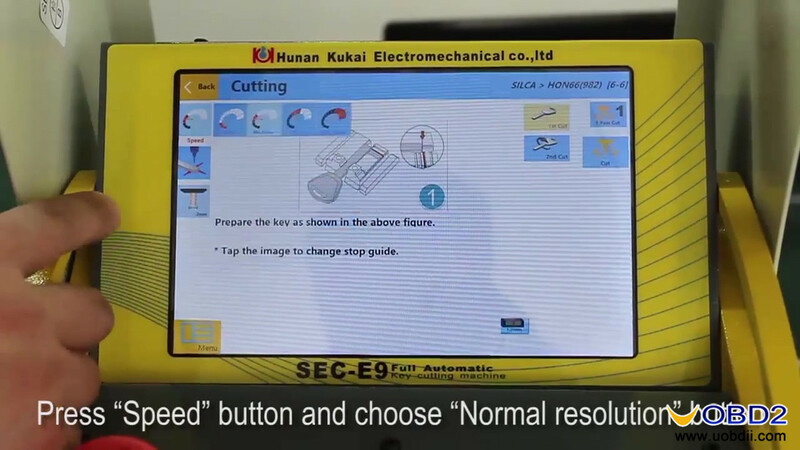 Press “Speed” and choose “Normal resolution” button. Click the image of three-terminal positioning. 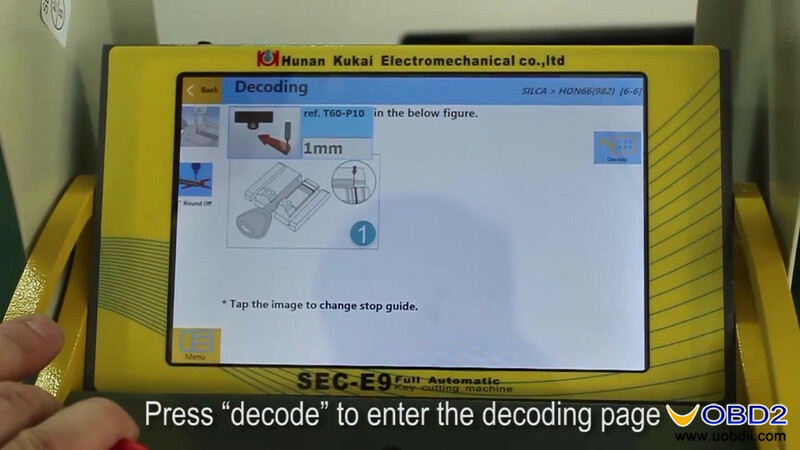 Press “Cut” button, please remember to close the safe gate. 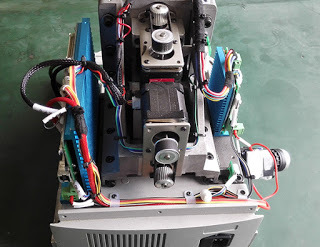 Cutting done. open the safe gate. 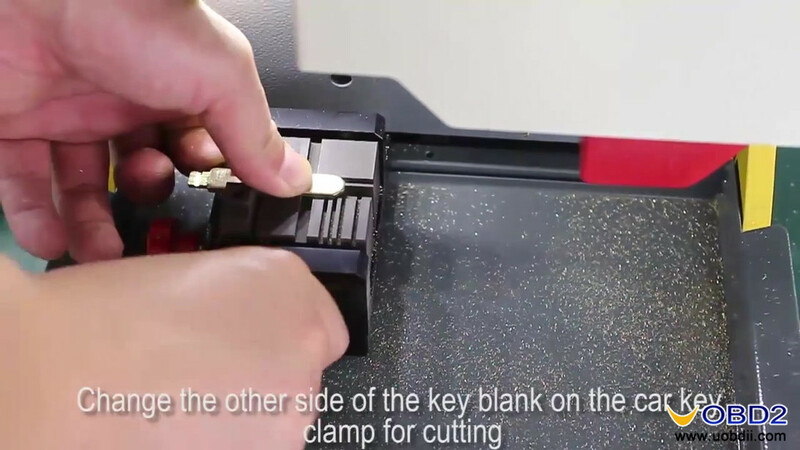 Clean the clamp & the new key. 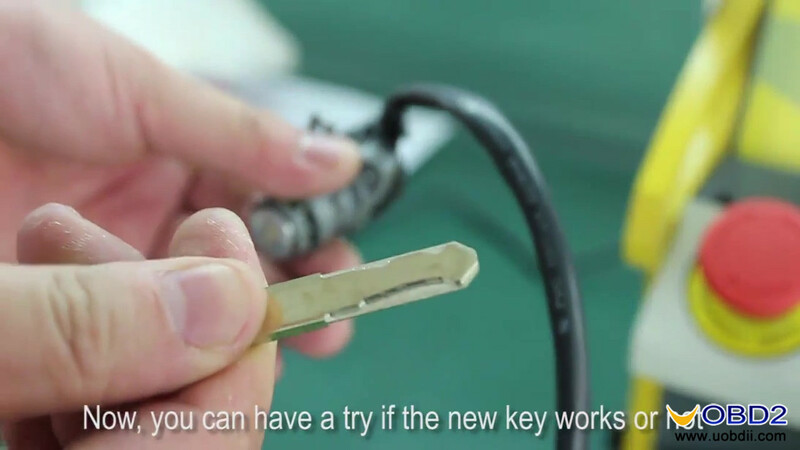 Take out the new key. 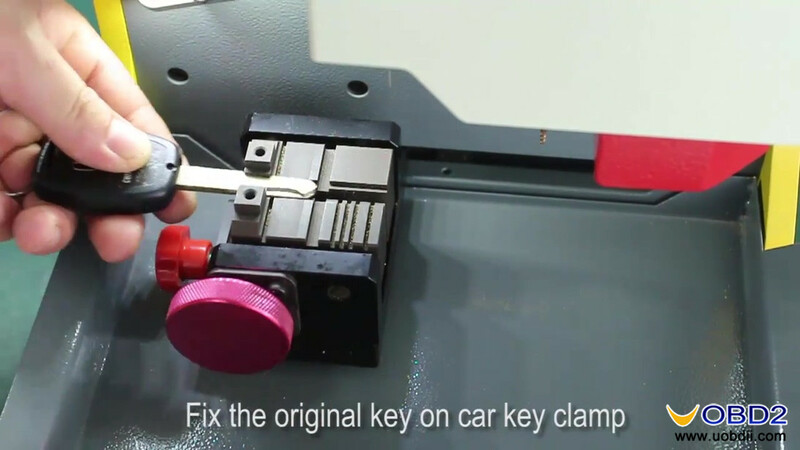 Change the other side of the key blank on the car key clamp for cutting. 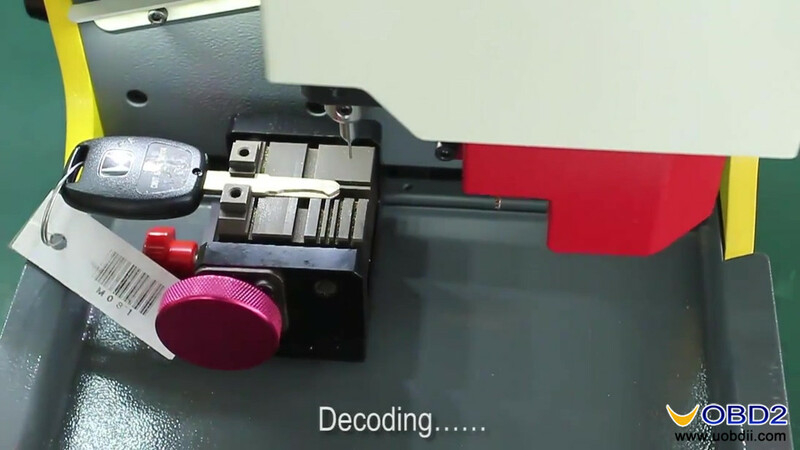 Press “Cut” to start cutting, please remember to close the safe gate. 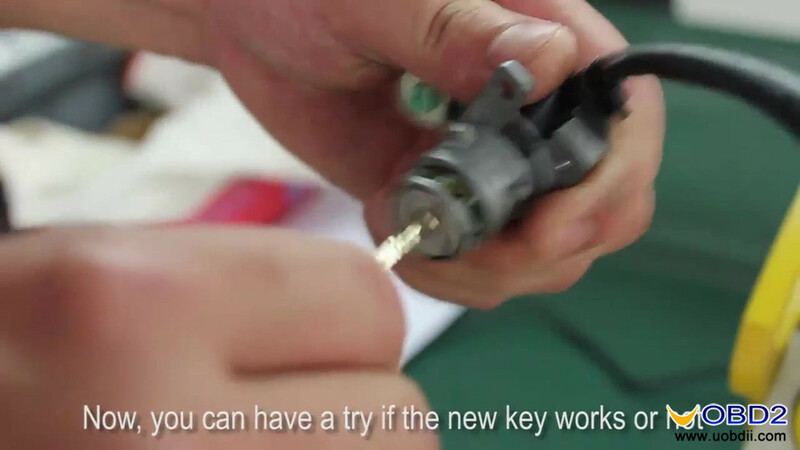 Now, you can have a try if the new key works or not. 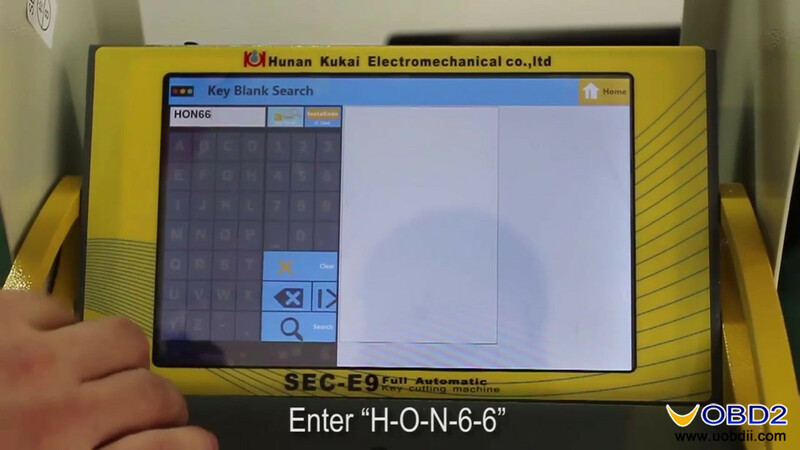 As you can see, it is easy to use SEC-E9 to cut HON66 key by search key blank. 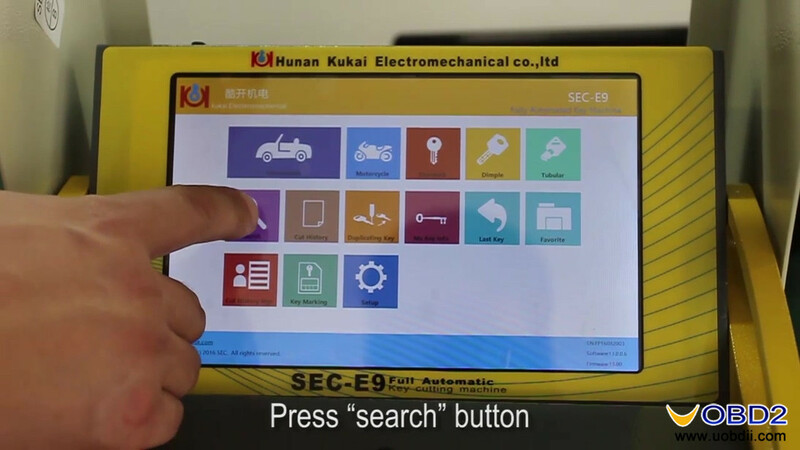 Below is OBDSTAR X300 DP review for checking. 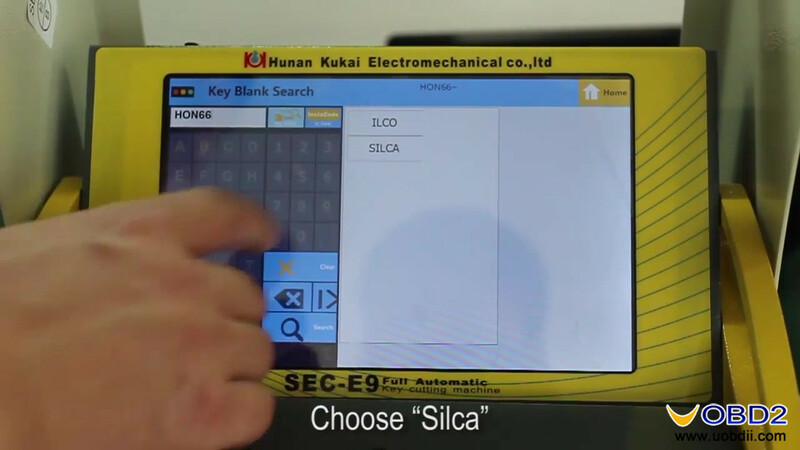 X300 DP diagnose KIA engine, airbag and read mileage OK!